The other day Elizabeth and I were walking down the road and we saw this man biking down the road, leading his cow to a nearby pasture, and singing happily to himself (or better yet, maybe to his cow). These are the kind of things you don’t see just anywhere. 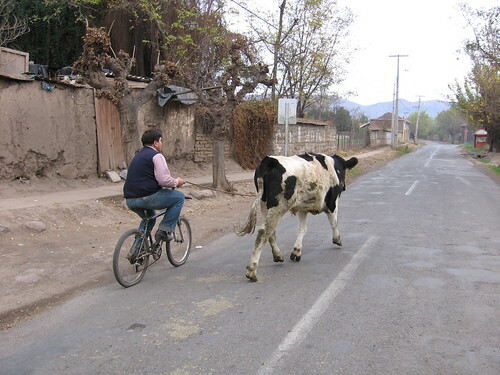 Though I do think someone should warn the poor sap about the dangers of biking with a cow on a leash.